I admit it. I have a problem. | Primary Planet! 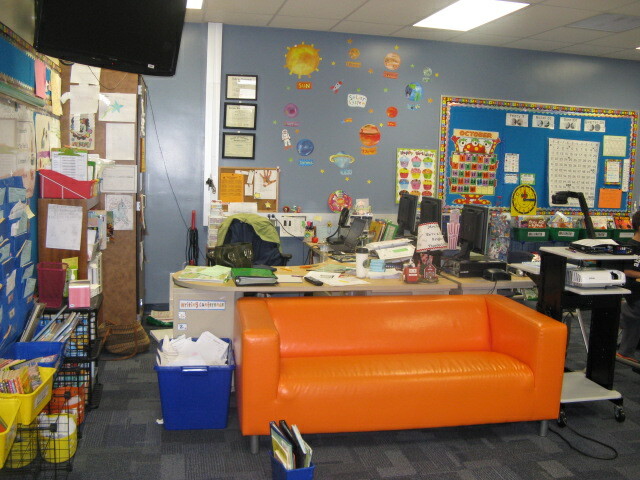 I love to rearrange my classroom. I know I shouldn't because it hypes the kiddos up and makes for a tough day, but I love to rearrange. My husband hates when I rearrange at home, so I feel the need to do it at school. I can always justify my choice. This time is because we were crowded. I had a couple of kiddos that would get into fights because their chairs would bang into each other every time they moved. It was time right? I also have a freebie! I used D.J.Inkers clipart! I LOVE D.J.Inkers! I am celebrating because I sold my first product on TpT! Yeah! So enjoy! I am going to to use it with my kiddos after studying about Frogs. We are going to write all the things that we now know about Frogs in the thought bubble!